Ⅰ.Taiyuan statistical yearbook 2017 covers major statistic data of Taiyuan society and economic in 2016.It is areference book with sufficient and comprehensive information. 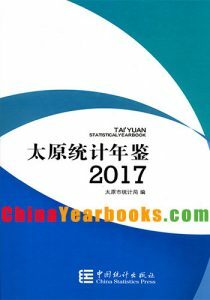 Ⅱ.The yearbook contains 14 chapters:1.General Survey;2.Population,Family Planning and Social Security;3.Emplyment and Wages;4.Investment in Fixed Assets a nd Construction;5.Energy Consumption andInventory;6.Price Indicators;7.Household Survey;8.Public Utilities;9.Agriculture;10.Industry,Transportationand Telecommunications;11.Domestic and Foreign trade,Tourism;12.Finance,Banking,Taxation and Insurance;13.Science,Education,Culture,Public health,Sports and Civil Affairs;14.Basic Economic Statistics of at County Level(districts,counties and cities). Ⅲ.The gross items in this yearbook are calculated at current prices unless otherwise specified. 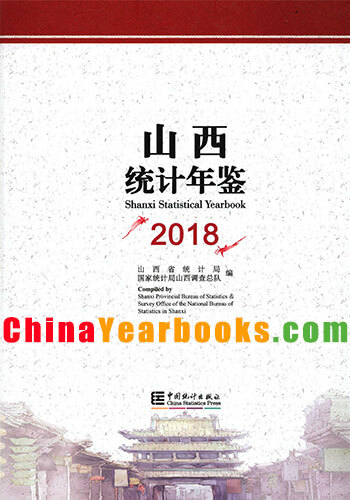 Ⅳ.The data and materials in this yearbook are mainly obtained from annual statistical reports,the sample surveyand the annual statistical bulletion of related department. 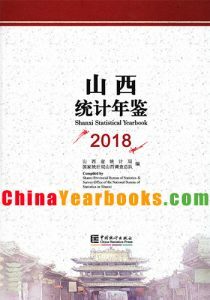 Ⅴ.Notation used in this yearbook:the mark of “blank” indicates that the figure is not large enough to be measuredwith the smallest unit or the data are not available.The mark of”#”indicates the major items of the total. Ⅵ.If there is any discrepancy,when using the historical data,please refer to the newly pubished version of theyearbook. Ⅶ.Statistical discrepancies on totals and relative figures due to rounding are not adjuested in the Yearbook. Ⅷ.The publishing yearbook gets lots of care and support from the society.We express deeply gratitude to theattentions,and welcome providing valuable suggestions.